Door Tenant Dr Charles Chatterjee combines a busy practice with his role as Professor of International Commercial and Criminal law. He is currently a Senior Associate Fellow at Warwick University and an Associate Research Fellow of the Institute of Advanced Legal Studies, University of London. and a Co-Director at the London Academy of Diplomacy. He has considerable experience in negotiating commercial contracts, including contracts pertaining to transfer of technology, international loans and international trade. He has been invited by many organisations to present scientific papers. Dr Chatterjee is not only familiar with the basic commercial and investment law of African and Asian countries but also the legal environment in those countries. He is conversant with trade, banking and intellectual property regulations at both national and international levels. He has also participated as an arbitrator under the ICC Rules of Conciliation and Arbitration. He has a reputation as a vigorous advocate in Courts ranging from Magistrates and County Court to the High Court and Court of Appeal where to use his own words, he enjoys ‘a jolly good scrap’. Dr Chatterjee has wide-ranging experience in developing programmes in both Business Studies and Law. He possesses special expertise in negotiating academic programmes with universities and professional bodies. In addition to his very close familiarity with the US system of education, Dr Chatterjee has a very extensive experience in the public and private sectors of education in the UK. He is also familiar with the system of validating degrees by UK universities. 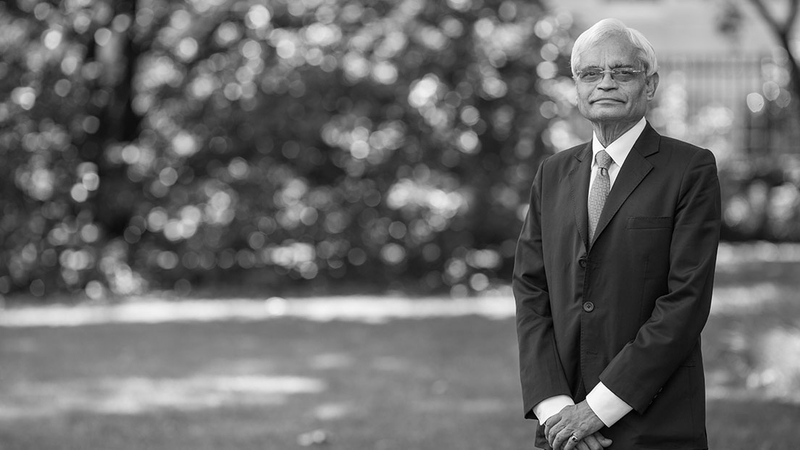 Dr Chatterjee has published extensively in the form of books and articles in reputable refereed journals on various aspects of public international law, international economic law, energy law, international commercial law, including banking, trade, investment, international commercial arbitration as well as health and criminal law. He taught a number of subjects exclusively on LL.M programs for over 20 years. He has also successfully supervised a considerable number of Ph.D theses at various British universities. He worked as a legal consultant with the World Health Organization and the International Labour Office. The World Health Organization appointed Dr Chatterjee as a Rapporteur several times to develop scientific papers on issues such as family health care, aid and prevention of drug abuse. He was also a legal consultant to the Commonwealth Secretariat for a considerable period of time. He also advises various governments on legal issues and provides training to government officials. Dr Chatterjee has considerable experience in providing training to the legal profession including Ministries of Justice for capacity-building in regard to the general issues relating to business law, international institutional law, economic law, banking and corporate governance, intellectual property law and turn-key contracts. See http://www.professorchatterjee.com/books.html for a full list of Dr Chatterjee’s publications.